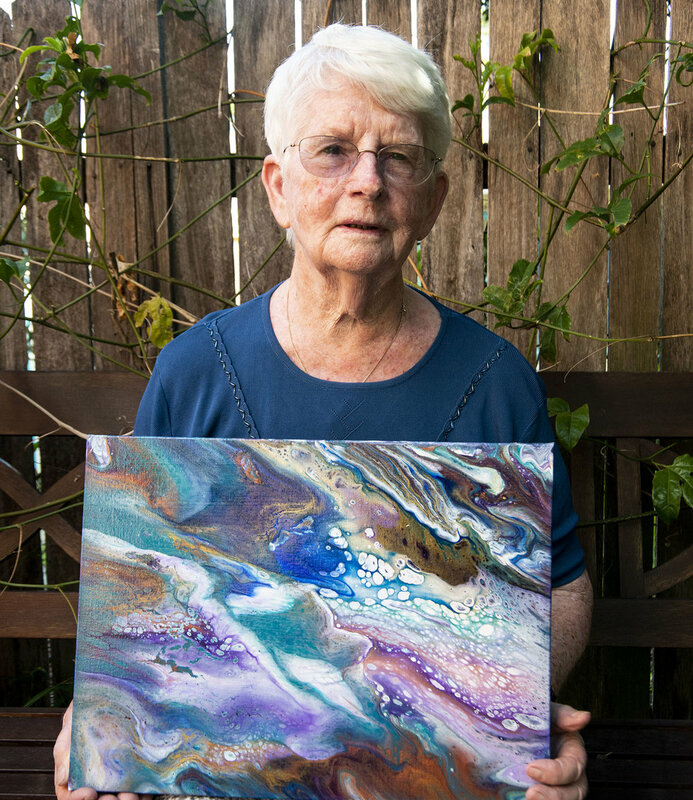 Local Freshwater artist Carmel Creighton is holding her very first exhibition in February at the Creative Space in North Curl Curl. 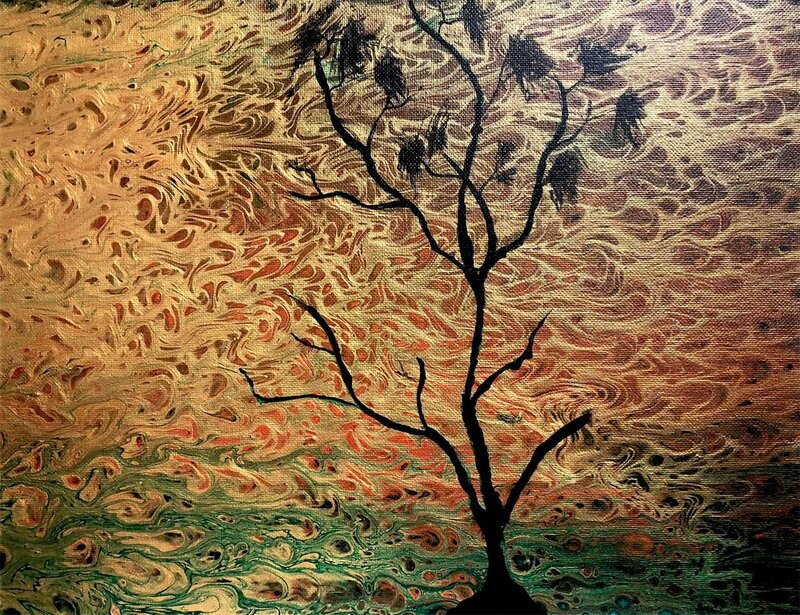 Carmel has experimented throughout her life with all kind of media and of late has fallen in love with acrylic fluids. It is very much an experimental process creating unique one-off pieces. Carmel was born at Cootamundra and has lived most of her life - 55 years - on the beautiful Northern Beaches. At the age of 85 Carmel is always ready to meet a new challenge, because we never know what lies ahead. 10% of every sale will be donated to Father Chris Riley’s Youth Off The Streets community organisation. On that note - she invites everyone to the opening night on 20 February from 6.00 pm – 8.00 pm at the Creative Space, 105 Abbott Rd, North Curl Curl. The exhibition is running from 20 Feb until 3 March. Opening hours are 10.00 – 4.00, closed Mon.